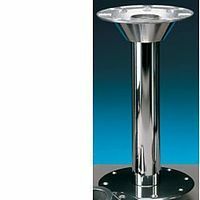 Recessed Base - Silver for Island Table Leg System. This part fits flush with the floor with the socket for the leg being recessed into the floor. Made of aluminium and polished. Depth of hole required in floor is 50mm x 65mm diameter. The product does the job however it is not only functional but should actually be a feature. The product finish is poor and looks cheap. The manufacturer could improve it by buffing it to look like a quality product. This may seem like a trivial complaint but i like attention to detail. Renovating an elderly ABI Adventurer and and changing the configuration, cupboards, tables etc. 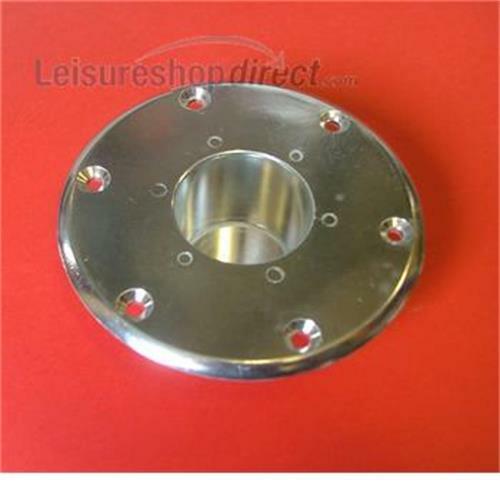 and using these recessed bases for the table allows for having the table in different locations giving more flexibility. Good price too. Posted out really quick good quality item just as described.